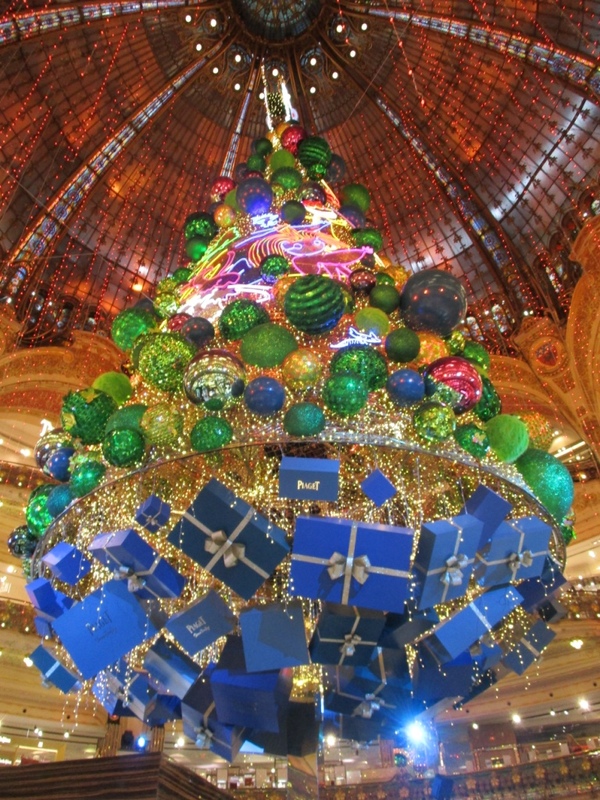 When I am in the Paris, I cannot help but go into the department store to see what the theme will be for the season.It is always a pleasure to sit at one of the cafes in Glaeries Lafayette to look up at the Christmas Decorations under the dome. I waited for the light show, every 30 minutes, to light up around the tree. It sounds a bit of pop sugar overdose, almost as bad a Marie Osmond, but I could not resist. It did not disappoint. I was enchanted. 2019’s motif is centered around the experience of the aurora borealis. 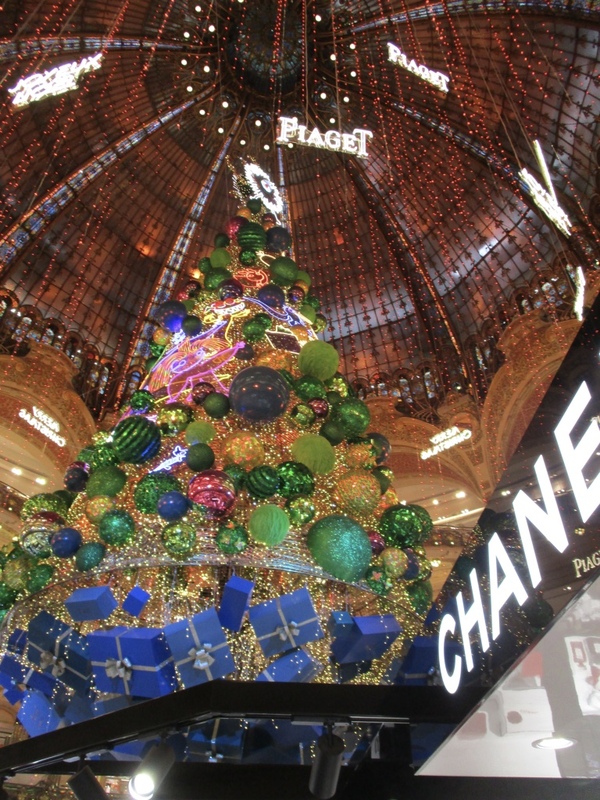 Partnering with Maison Piaget. 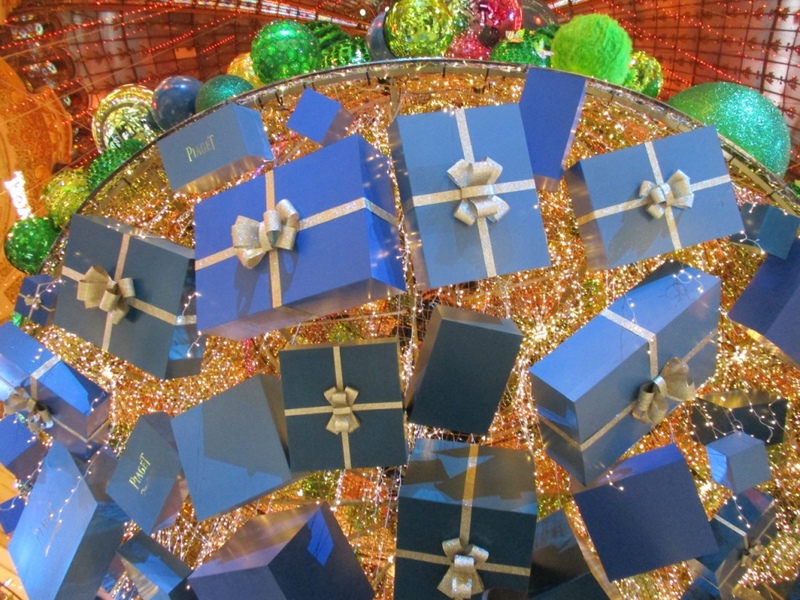 The Christmas Tree is trimmed with gifts, watch and jewelry designs from the luxury brand. 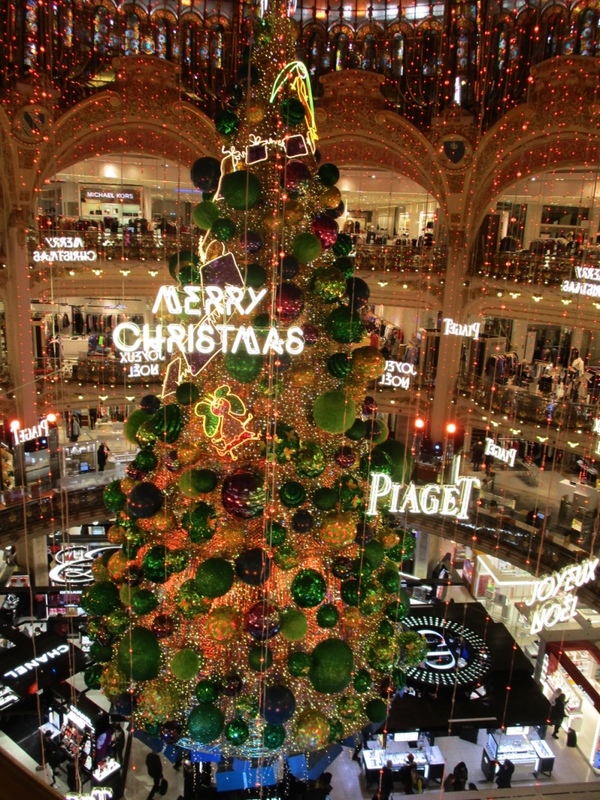 Separator image Posted in Feature, Travel and tagged with Christmas, Christmas Decorations, christmas season, Department Store, Galeries Lafayette, inspire, Paris, shopping, travel.